Hard-hitting to take down the boars and other large game. 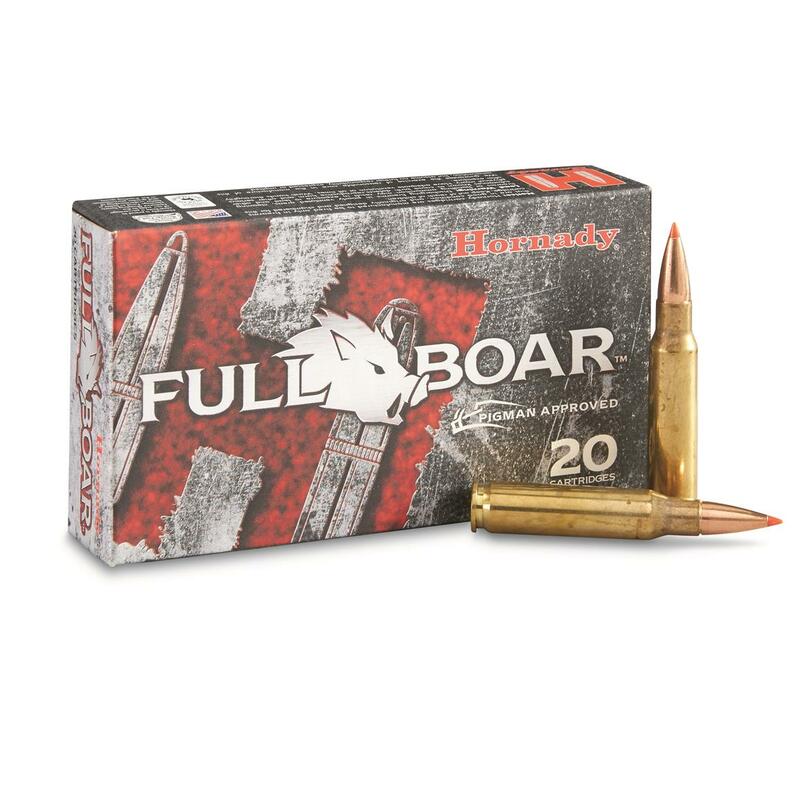 First, each round is built from premium Hornady® components...case, primer and propellant. Included in that is a GMX® bullet that drives deep with controlled expansion while holding about 95% weight retention. And it's designed with the fit, feed and function for seamless operation in all guns, including ARs and semi-automatics. 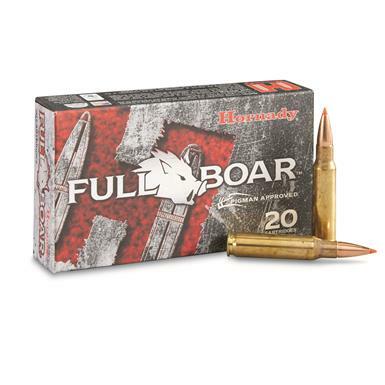 Takedown power for boar and other big game.